The Intolerant Gourmand - Byron - Highly recommended! When eating out with allergies is made so much easier! It goes without saying that eating out and trying to accommodate a multitude of food allergies usually results in a massive headache, and more often than not, risking what is eaten, and praying for little or no reaction. Most companies simply do not understand the seriousness of cross contamination or not catering for people with food allergies. And it is utterly infuriating!! That's why, when you do find a company that quite literally goes above and beyond, you owe it to them to sing their fantastic service from the roof tops to get them as much custom as possible, and to give them the support to keep up their wonderful work. From the moment we entered the restaurant at Bluewater in Kent, I was impressed! No, make that really impressed!! We were greeted by a lovely, friendly waitress (Beth), and when I quizzed her as to their allergies stance, she was confident in her knowledge, understood the concerns I had, and was able to put my mind at ease. We were taken to our table and given the menus, Callum's doubled up as a picture to colour in, which he was very happy with. 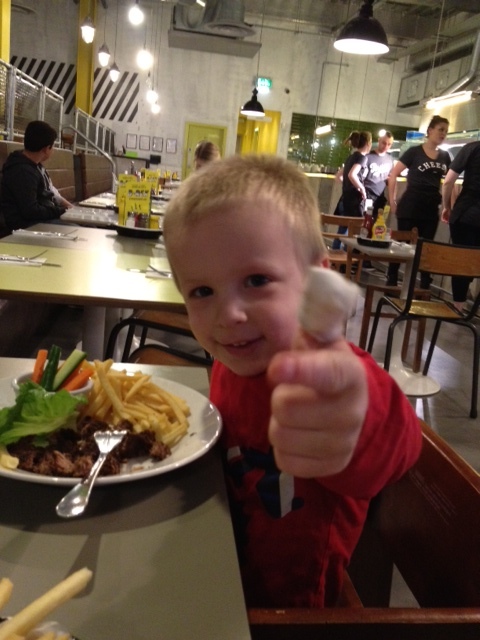 When we were ready to order, Beth took the time to ask a number of questions, and allowed me to explain the food allergies that Callum suffers with, to ensure that his lunch was absolutely safe for him, and with no chance of him getting any form of reaction from it. This, quite simply, is unheard of normally!! Most restaurants barely give you the time of day, especially in the midst of a busy lunchtime service where they can easily have 50-100 covers in quick succession. Now, here's the bit that took how impressed I was to a whole new level. The manager, yep, that's right, the manager, came out to speak to me personally. Beth had explained to him the food allergies that we had to be aware of for Callum, and he wanted to reassure me by talking me through how his kitchen works. This is utterly incredible. 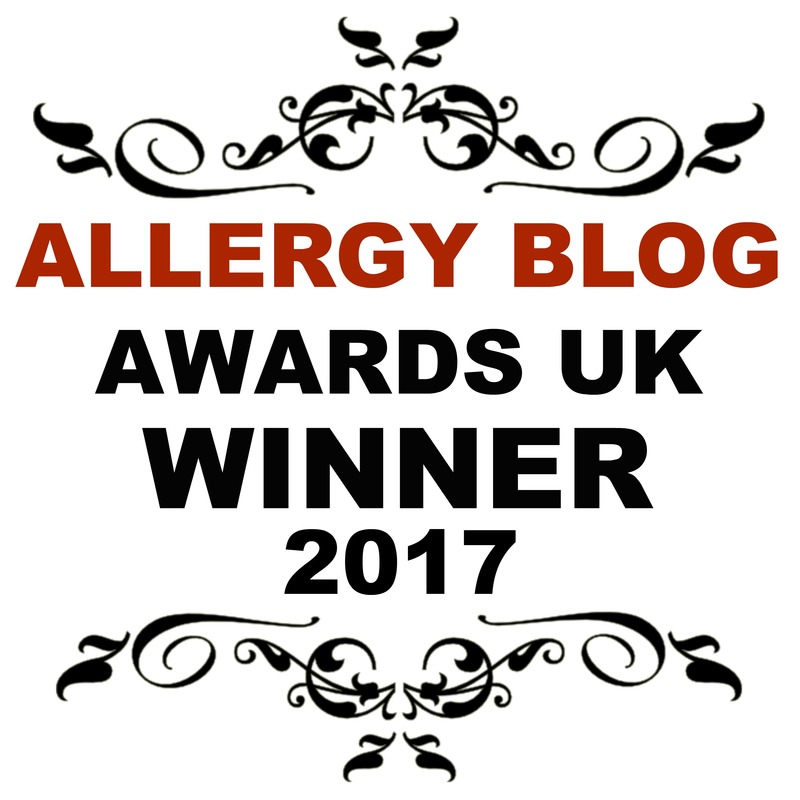 They are in a league of their own when it comes to allergy management!! Admittedly, he mentioned that his parents are allergic to a number of foods, so he fully understood the seriousness and frustration of eating out. But even so, kudos to him for his patience and friendly attitude, it is to be highly commended, and was very much appreciated! He explained that his kitchen has absolutely no nut product whatsoever, not even derivatives of, including sesame seeds on burger buns. A complete no no! He also explained that their till system allows for allergies to be included in the order. When the order is complete, it gets printed out in the kitchen, with the allergies printed in red, to alert the chefs and to make sure the food stays absolutely safe at all times. They also ensure there is absolutely no cross contamination at all times. They cook in front of the customers in an open pass, so are fully exposed at all times. They have nothing to hide, and are so confident in their procedures that they are happy to show you. I really wish some of the big names out there would take a leaf out of their book. It is so refreshing to be able to take Callum out for lunch, knowing he is safe, and relaxing sufficiently to enjoy your own food and know that you don't have to look out for possible reactions because you don't truly trust what will be brought out on Callum's plate. Callum was thrilled with his lunch, a simple burger (well done), cooked on a grill with oil , no dairy included anywhere! All fries are cooked in oil safe for nut allergy sufferers, and the salad was kept well away from tomatoes to ensure that it wasn't contaminated. Callum wasn't able to have a burger bun, as they use an egg glaze. But, as you can see from the photo, he certainly had enough food not to worry about it! 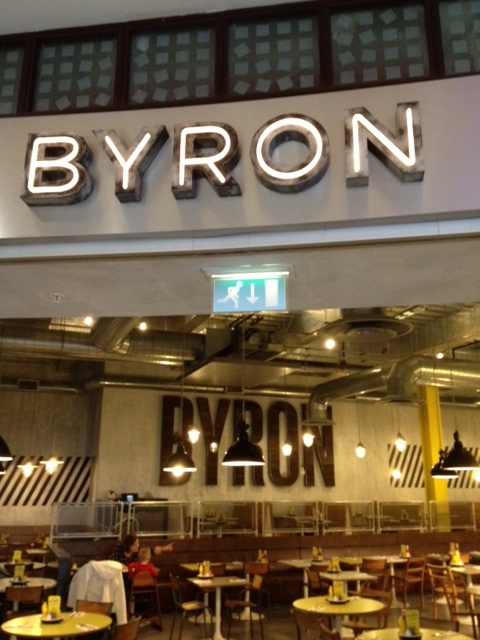 Byron's are also able to cater for people who eat gluten free. When looking around the restaurant, it really is totally allergy friendly. The whole place is kitted out with retro school chairs, leather booths, industrial style walls and floor. There isn't a single bit of textile anywhere. Not even fabric on chairs.That means no chance of dust mites harbouring anywhere. But it still maintains a welcoming and friendly atmosphere. Whether this is by chance, I don't know. But to me, considering the dining experience, I would err on the side of Byron having acute attention to detail when dealing with allergies. If there was one criticism I could give, it would be that they don't offer a dairy free pudding. But to be honest, considering everything else, they can be forgiven. Byron, if you happen to read this blog post, I have a number of dairy, egg and nut free recipes for puddings, including chocolate brownies to complement yours. I would happily work with you, for you to achieve a fully dairy free menu option. Well done Byron's, and thank you! I can vouch the food was very nice and the welcome great, as well as the care! I'm already a fan of Byron burgers but this just pushes them up a notch. Brilliant review! I'd never heard of them before, but I am now a huge fan, and extremely impressed. I've been singing their praises from the roof tops! !